After a two decade decline in volume sales and increasing rivalry from its sweet imported counterpart, it appears things are on the up for the humble spud. Not only have volume sales of standard fresh potatoes increased by 0.5 per cent over the past year and three per cent over the last four years, volume sales of sweet potatoes fell for the first time last year. Kantar Worldpanel’s 2018 figures reveal that after a period of favourability, volume sales of fresh sweet potatoes fell by five per cent last year to £74 million, making up just five per cent of volume in the potato market. Sweet potatoes sales skyrocketed when they first appeared on our shelves several years ago, with volume increasing by 40 per cent year on year at its peak in 2015. Research carried out by the Agriculture and Horticulture Development Board (AHDB) indicates the shift in sales is due to consumer needs and attitudes. 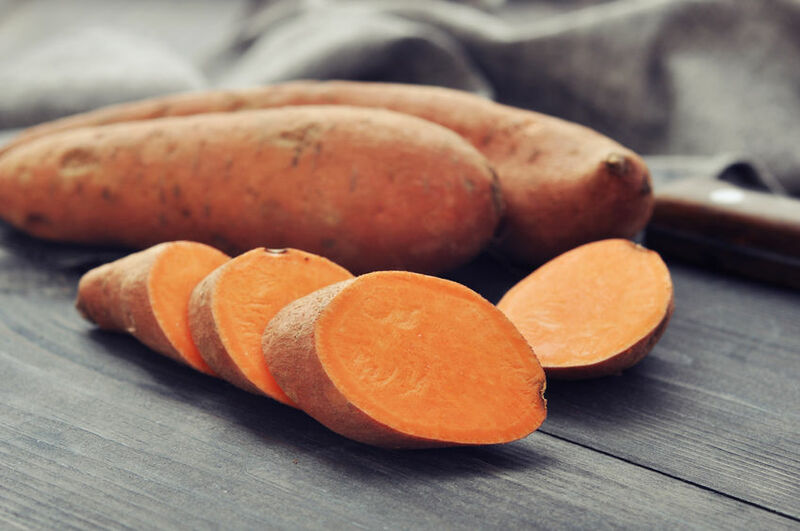 The survey results revealed, despite more consumers considering sweet potatoes a healthy option 62 per cent vs 42 per cent for standard potatoes, standard potatoes win on versatility, ease of preparation and keeping consumers fuller for longer. AHDB Senior Retail Insight Analyst, Kim Malley said: “Higher perceptions in terms of versatility and ease, coupled with lower prices may indicate why we are seeing a rise in standard potatoes sales. The research results provide valuable advancement opportunities for the potato market to expand its ranges of ready prepared and ready made products. AHDB’s consumer campaign has focused on relaying the nutritional benefits of potatoes and inspiring consumers with recipes to make them ‘More Than A Bit On The Side’. “Health is important, but enjoyment is the main reason that we buy food. Potatoes are tasty, convenient and affordable,” said Dr Rob Clayton is Strategy Director, AHDB Potatoes.